More than 100 children taken by the Department of Homeland Security from their parents at the border under the Administration’s zero-tolerance immigration policy remain in government custody, still separated from their families. Some of the parents have been deported and are now hundreds of miles away. Some of the children are less than five years old and have been in detention, apart from anyone they know, for months. The government apparently never had a plan for re-uniting the families it separated. It did not give parents any information about where it was taking their children. One judge demanded of a government prosecutor, “I can’t understand this. If someone at the jail takes your wallet, they give you a receipt. They take your kids, and you get nothing? Not even a slip of paper?” The government also failed to take even rudimentary steps to keep track of the children. It did not give children, even those too young to talk, a wristband stating their name. In most instances, it also failed to photograph or fingerprint them. Now, despite being subject to a court order to re-unite the families, the government has essentially stopped working on the problem. Instead, it has claimed to be taking steps that it has not, in fact, taken. In the face of reports about communication problems between the Department of Homeland Security, which separated the children, and the Department of Health and Human Services, which now has custody of them, Homeland Security officials announced in late June that they had developed a central database accessible to both departments. The Inspector General, however, could not locate the database, and eventually the Department of Homeland Security was forced to admit that there is even now no direct electronic interface between the two departments. What serious efforts there are underway to re-unite families are being made by concerned but underfunded non-profit groups. In addition, the Administration has begun funneling children who were seized trying to enter the country alone without adult family members, away from small shelters, where they receive some legal representation and some schooling, and where living conditions are subject to some local regulation. They are being moved into large camps, where conditions are largely unregulated and they receive no representation or schooling. Because of deteriorating conditions in some Latin American countries, the number of these unaccompanied minors trying to enter the country has surged in recent months. In September, the Department of Homeland Security was holding 12,800 unaccompanied minors, up from 2,400-some 16 months earlier. The Administration has responded to the growing problem with no coherent plan and with a willingness, even a conscious effort, to hold the children in miserable conditions so as to deter others from trying to enter the U.S. Like many other Trump Administration policies, it is characterized by both ruthlessness and incompetence. Arlington’s Congressional Representative, Don Beyer, has been working to re-unite separated families and to improve living conditions for immigrant children in government custody. He sought review of shelters – including some in Virginia – where there are allegations of abuse. He visited Immigration Court in Crystal City to observe how it handles the cases of small children who have been separated. He went to an immigration detention facility in Maryland and spoke to fathers whose children had been separated from them. Let Rep. Beyer know that his devoting time to this problem matters to you. E-mail his office with words of support. And vote for him in this election. 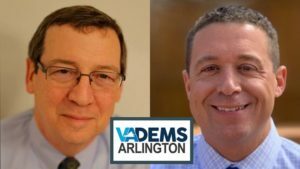 While Rep. Beyer is expected to win, for that to happen, voters must go to the polls. And the size of his margin matters. If you really want Don Beyer to keep working against the cruel immigration policies of the Trump Administration, demonstrate your support by giving him a resounding victory in November. Thank you for working to re-unite families the Trump Administration has torn apart. Thank you also for working to improve conditions at children’s detention families. Keep up the good work. Make sure you are registered to vote. Voter registration for November’s election ended on Oct. 15. You can vote absentee, if you qualify – for example, if you will be working at a job outside the county on Election Day. 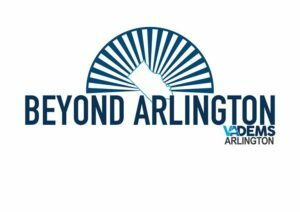 The Arlington County Board of Elections in the Courthouse neighborhood, 2100 Clarendon Blvd., is now open for absentee in-person voting during weekday working hours and on some upcoming Saturdays from 8:30 a.m. to 5:00 p.m. Otherwise, find your polling place and make a plan to vote on November 6.